This is a psalm of David. He wrote these words after his sins were found out and the prophet Nathan had confronted him. When someone else knows about your sin, let alone God, the devastation can be total. David doesn’t try to go “on the record” and defend his actions. He doesn’t move away or run from his mistakes. He confronts his sins. He was a murderer, a liar and an adulterer. He had been caught, found out, and left wanting. Yet, David returned to the only place one can return to when humbled by crippling sin – God. Scripture records this sinner to be “a man after God’s own heart” (1 Samuel 13:14, Acts 13:22) but what made David fulfill this kind of criteria in life? 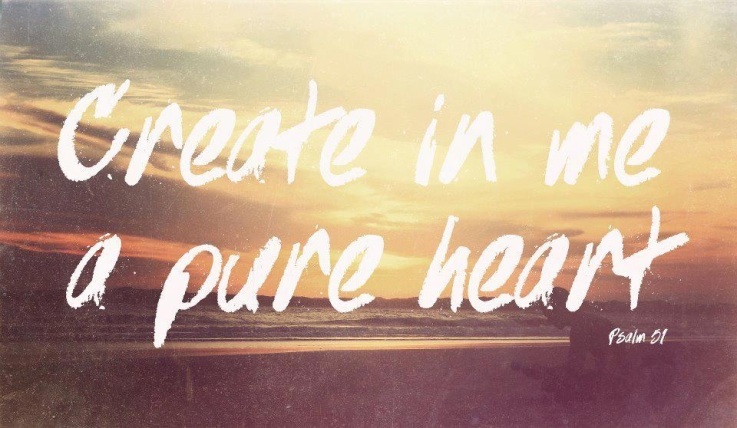 How can we also be men and women after God’s own heart? It should be noted that David was identified as such a man before his downfall; but this psalm and his actions following his downfall should also give us a clue into His humble character. David was a shepherd as a young person. He worked a lowly job which, at times, was considered one of the dirtiest and most undesirable jobs. While working as a shepherd he wrote songs of praise to his God. He understood where his joy came from and also his blessings. Following His downfall into sin, his reaction to being caught was not one of indignation but rather humility and grief. He had broken God’s heart, and David pens these words of regret, remorse and was in search of God’s forgiveness. Right relationship with His Salvation was his desire. Sure he had messed up royally (no pun intended), but he longed to recover that which had been tarnished and nearly destroyed. Scripture records David tearing his cloak, putting on sack cloth and pouring ashes on his head. This is a sign of grief and mourning but is also a very humbling picture for us to see of a king. How humble are we? Do we recognize how in need of a Savior we are daily? We are all far from perfect people. We all struggle with sin and temptation. Do we seek after God with great passion just as David did, or do we merely think about Him on Sundays or special holidays? Our lives were given to us as a gift. Each one of us comes with struggles and concerns, but we don’t have to carry them alone. 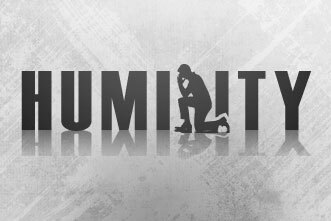 Connecting with The Father connects us with the Divine and unburdens us, but we must first become humble. Next Post Devotional Pondering: Death, Lions, Stinky Dark Pits & Prayer.